You may have noticed that Norwegians have a thing about spending time outdoors. They are very proud of their pristine nature, and they intend to keep it that way. Search for eco-friendly travel products and learn more about sustainable initiatives and destinations in Norway. There is no doubt that Norway takes environmental issues seriously. Nature plays an important part in many Norwegians’ lives, and they are very keen to preserve the country’s unspoilt wilderness with waterfalls, fjords and glaciers. Therefore Norway is constantly working to improve sustainability in all business segments, including travel and tourism. Looking after the environment is an important part, but it is about much more than that: creating thriving local communities and developing ethical business practices, for example. Many hotels also feature organic products on their menus. For example, Scandic hotels have decided to say no to genetically modified (GM) foods and serve organic breakfast and fair trade coffee. Several of their hotels also feature local food specialities, something which supports local small scale food producers and showcases the gastronomic identity and diversity of Norway’s regions. Most hotels in Norway have put concrete measures to control energy, water consumption, waste generation and recycling in place. It is, for example, becoming increasingly common to use energy-saving devices like automatic light switches, low-flush toilets, wash basins with sensors, eco-labelled cleaning products, and energy efficient dishwashers and washing machines. Spending time in nature is considered a right in Norway, and just as in other Nordic countries, this right is inscribed in law. According to the so-called Right to roam (Allemansretten), everyone should be able to enjoy the countryside, including the national parks, as long as a few simple rules are followed. A few Norwegian destinations have obtained the prestigious Sustainable destination standard. In order to qualify for this label, destinations must demonstrate their commitment to provide the best possible experience for visitors while keeping the negative impact of tourism to a minimum. This is done by fulfilling 45 criteria and 108 indicators that cover nature, culture, environment, social values, community involvement and economic viability. The label has to be renewed every three years. Family-friendly Trysil is Norway's largest ski destination. 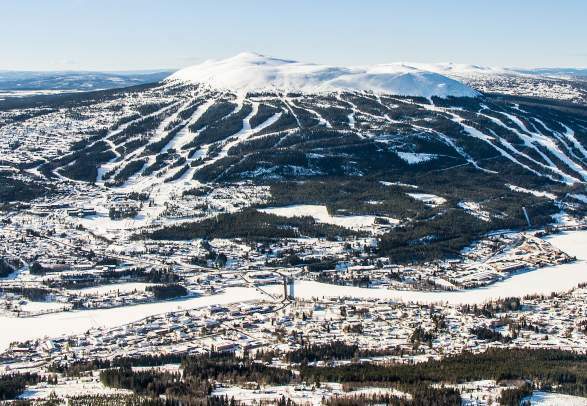 Surrounded by unspoilt nature, Trysil was one of the first holiday spots in Europe to achieve the prestigious Sustainable Tourism certification. The traditional town of Røros, which is known as one of Norway’s sustainable destinations, is a modern community in which people live and work right in the middle of a UNESCO World Heritage Site. More and more visitors come for the peace and quietness by more than 900 lakes, just interrupted by folk music and wild animals. The UNESCO-protected islands of Vega, just south of the Arctic Circle, is named one of the world’s top undiscovered island gems. Situated at the end of the UNESCO World Heritage Site of Sognefjorden, Lærdal features dramatic mountain tops, unique wooden houses in Lærdalsøyri, and Norway’s best preserved stave church, Borgund. In the middle of Southern Norway, between the major cities Oslo and Bergen, lies Geilo. This charming town at the foot of two national parks; Hallingskarvet and Hardangervidda and offers endless opitions for outdoor activities - all year. The Setesdal valley is centrally located in Southern Norway and easily accessible from continental Europe. In the winter you can choose between two skiing destinations; Brokke and Hovden. Make sure your holiday has the smallest footprint possible by looking for these labels and logos. 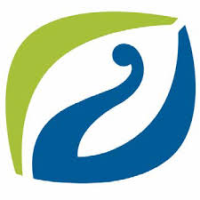 This national certification is awarded to businesses and operators that hold a high international level in ecotourism. Over 100 strict criteria on environmental performance, host-role, local community integration and purchasing must be met and often improved. The certificate is renewed every three years. More than 5000 products in Norway are certified with Nordic Swan, which indicates that they satisfy strict demands within energy efficiency, materials, and chemicals, all the way from raw materials to end product and waste management. 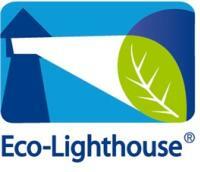 The Eco-Lighthouse certification places demands on energy use, waste disposal, transportation, procurement and work environment. Over 5000 businesses in Norway are certified with this, which must be renewed every three years. 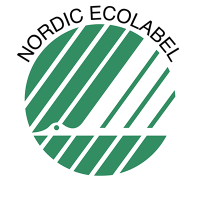 Global ecolabel, recognized by GSTC, for hotels, small accommodations, campsites and attractions. Certified businesses must meet strict criteria within among others the areas of waste, energy, water, procurement, green areas, CSR and staff involvement. The high standards are maintained through annual certificate renewal, rigorous application process and documentation and frequent audits. ISO 14001 is given to enterprises that have a high-quality environmental managing system for organizational performance. Global, prestigious award based on a series of stringent environmental, educational, safety-related and access related criteria to be met and maintained, aimed at beaches and marinas. More than 4100 sites in 49 countries are awarded with the Blue Flag. To find sustainable products, click on "Filter your search" below and select "Green Travel - Eco-certified providers". Norway hosts numerous festivals, concerts, exhibitions and other events every year. Browse through our selection to find inspiration for your travel programs. Become a Norway Expert with our free and fun e-learning program. Through videos, images and fun facts, you will get all the answers you need to sell Norway as a tourist destination. Do you need help to present Norway to your customers? Find out how we can help you to build up a portfolio for Norway as a destination. Our team of local travel representatives will be happy to answer any queries you may have about promoting Norway as a tourist destination.